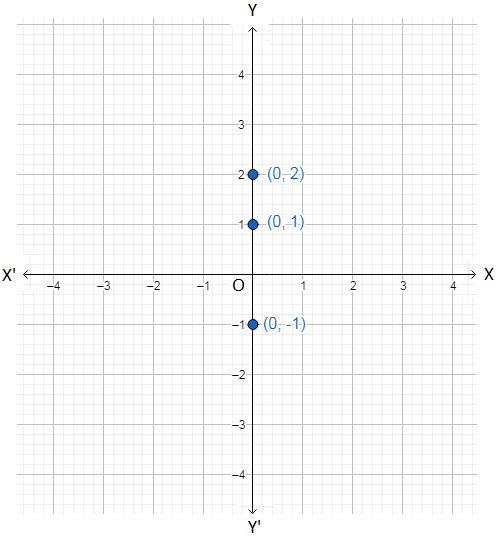 Some of the orders pairs of values of (x, y) satisfying x = 0 are (0, 1), (0, 2), (0, -1), etc. Some of the ordered pairs of values of (x, y) satisfying y = 0 are (0, 0), (1, 0), (-2, 0), etc. 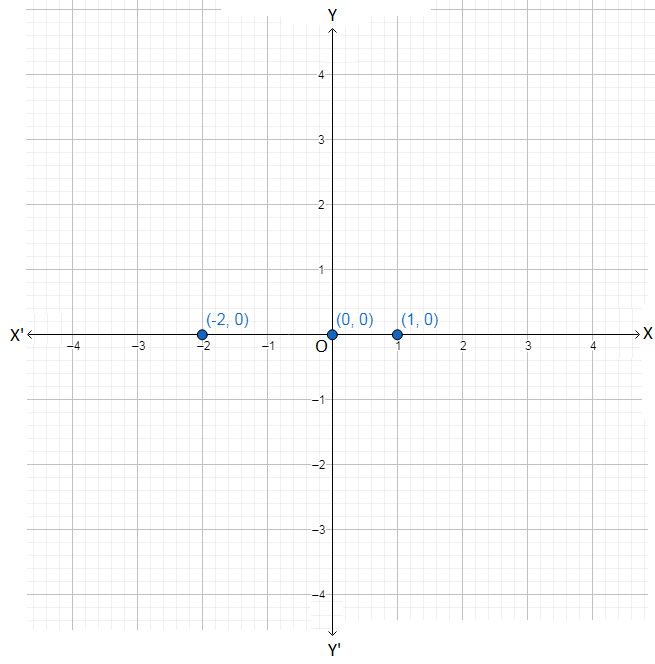 All these points are on the x-axis, their y-coordinates being 0. 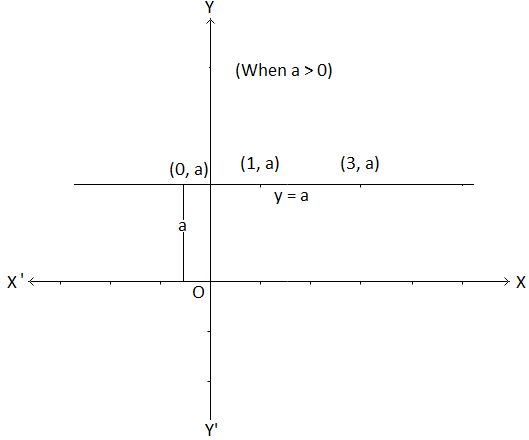 Some of the ordered pairs of values of (x, y) satisfying x = a are (a, 0), (a, 1), (a, 2), etc. 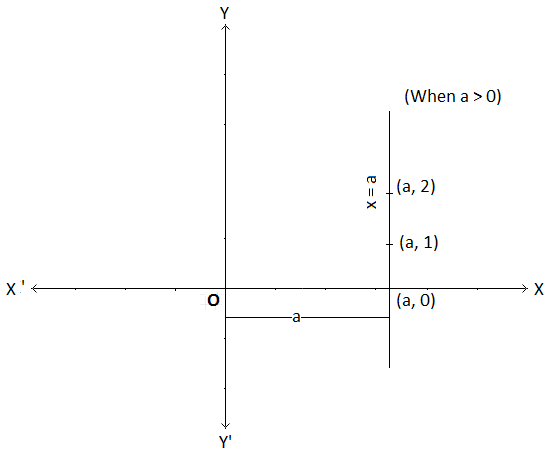 the graph of x = a is a straight line parallel to y-axis at a distance a from the y-axis, on the right if a > 0 and on the left if a < 0. 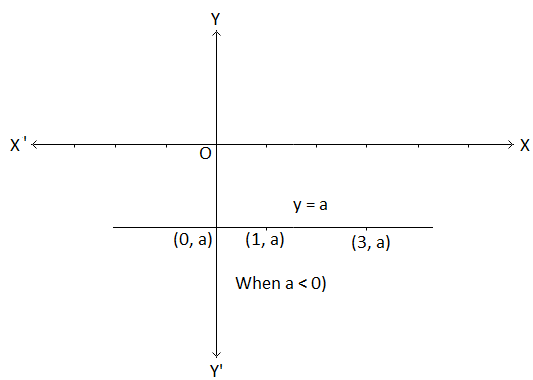 (iv) Graph of y = a. 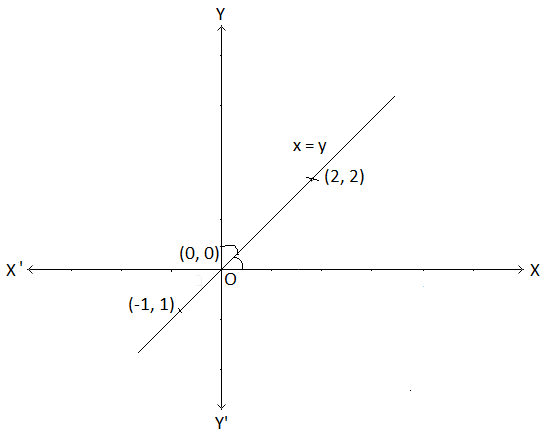 Some of the ordered pairs of values (x, y) satisfying y = a are (0, a), (1, a), (3, a), etc. 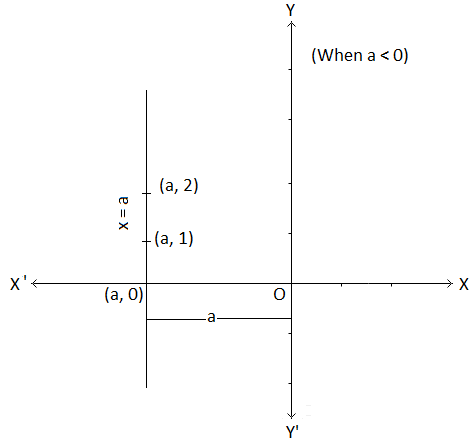 the graph of y = a is a straight line parallel to x-axis at a distance a from the x-axis, above the x-axis if a > 0 and below the x-axis if a < 0. Some of the ordered pairs of values of (x, y) satisfying y = x are (0, 0), (-1, -1), (2, 2) etc. All these points have equal x and y coordinates.